Sited in a three-floor masterhouse with garden, it comprises of 1 individual studio/residence room for reunions, a couch surfing guest room, a treehouse under construction plus additional communal spaces. Based around a dynamic live/work setting, it offers the time and space to meet. 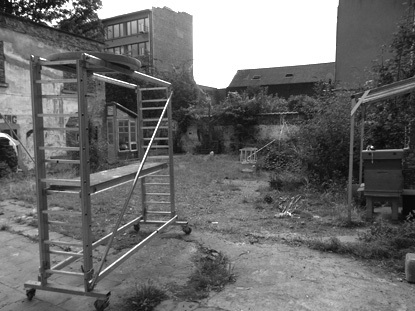 bolwerK considers the house as her resource framework to produce an exhibition on networks in the beginning of 2010, in Hasselt, in Z33, an old beginage which is nowadays an art center. From July 2008 til December 2008, the space was conceptualized as HOTELbich during a 6 month project by David Helbich.